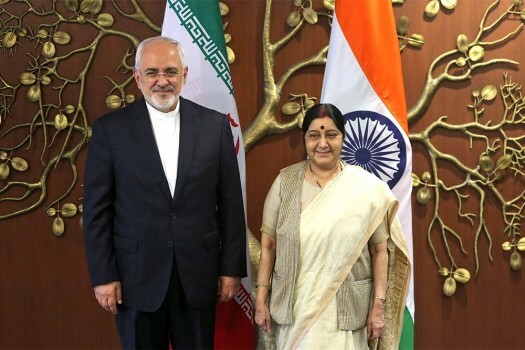 External Affairs Minister Sushma Swaraj and Iranian Foreign Minister Mohammad Javad Zarif during a meeting, in New Delhi. 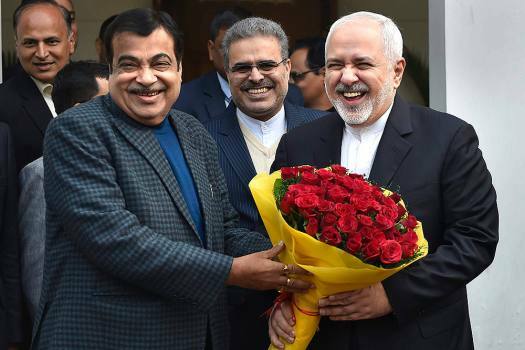 Union minister Nitin Gadkari welcomes Iranian Foreign Affairs Minister Mohammad Javad Zarif at his residence, in New Delhi. 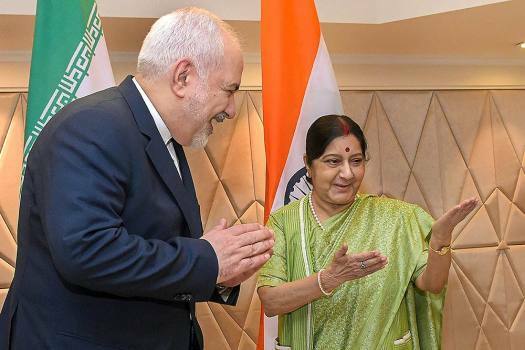 Foreign Minister Sushma Swaraj, right, stands for photographs with her Iranian counterpart Javad Zarif before a meeting in New Delhi. 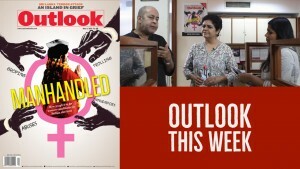 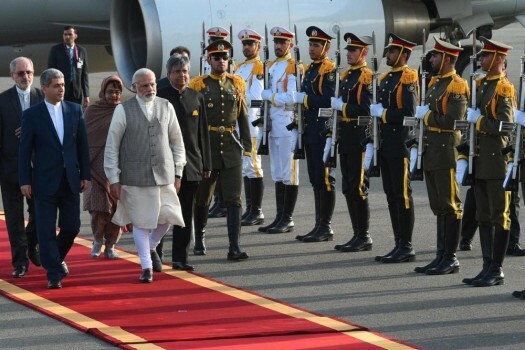 Zarif is in India on a two-day visit. 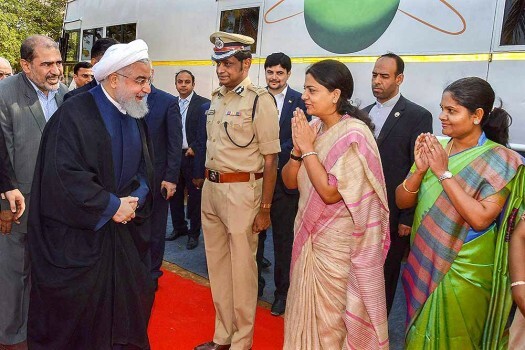 Iranian President Hassan Rouhani visits the Qutb Shahi tomb at Ibrahim Bagh in Hyderabad. 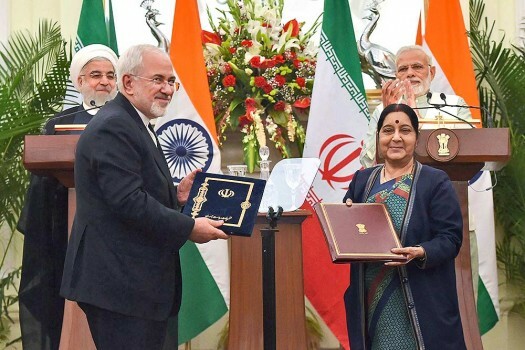 Prime Minister Narendra Modi and Iranian President Hassan Rouhani during agreement signing ceremony at Hyderabad House in New Delhi. 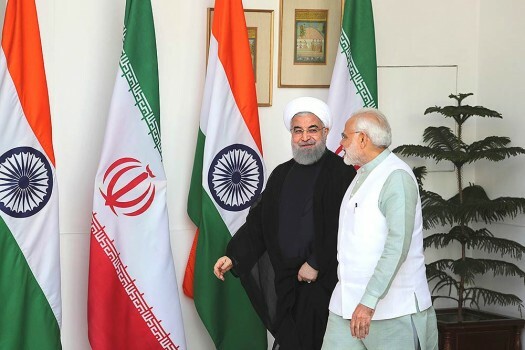 Prime Minister Narendra Modi, right, shakes hand with Iranian President Hassan Rouhani, before their delegation level meeting in New Delhi. 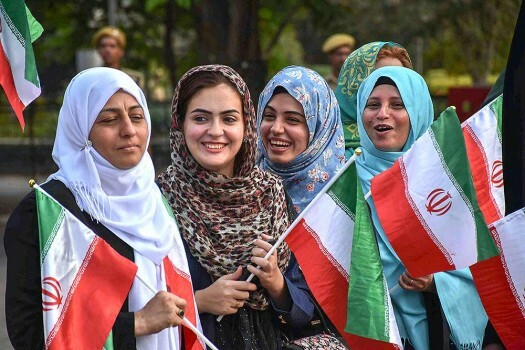 Women wave Iranian flag upon the arrival of President Hassan Rouhani at Begumpet Airport in Hyderabad. 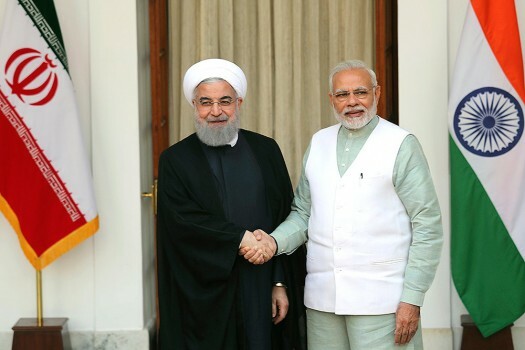 Prime Minister Narendra Modi with Iranian President Hassan Rouhani, during an official arrival ceremony at the Saadabad Palace in Tehran, Iran. 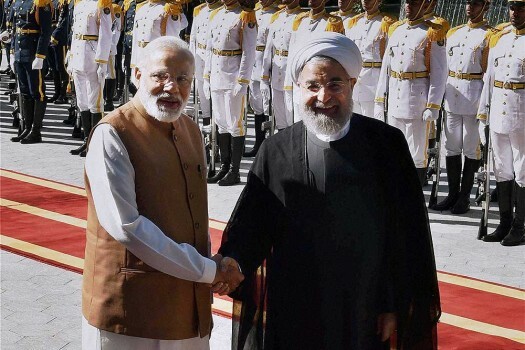 Prime Minister Narendra Modi shakes hands with Iranian President Hassan Rouhani, after reviewing guard of honour at the Saadabad Palace in Tehran, Iran. 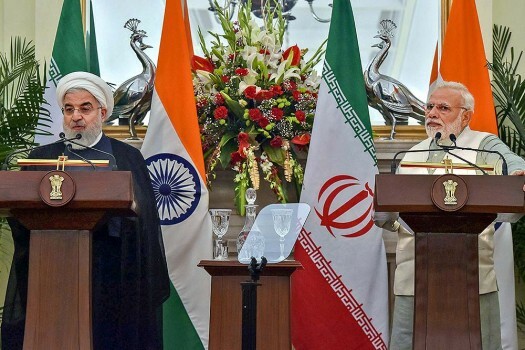 Prime Minister Narendra Modi talks with Iranian President Hassan Rouhani, during an official arrival ceremony at the Saadabad Palace in Tehran, Iran. 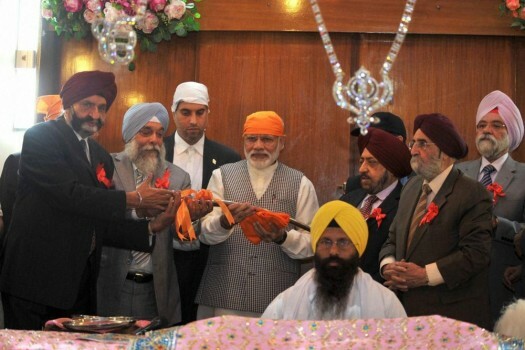 Prime Minister Narendra Modi being presented a sword and felicitated at Bhai Ganga Singh Sabha Gurudwara in Tehran during his visit to Iran. 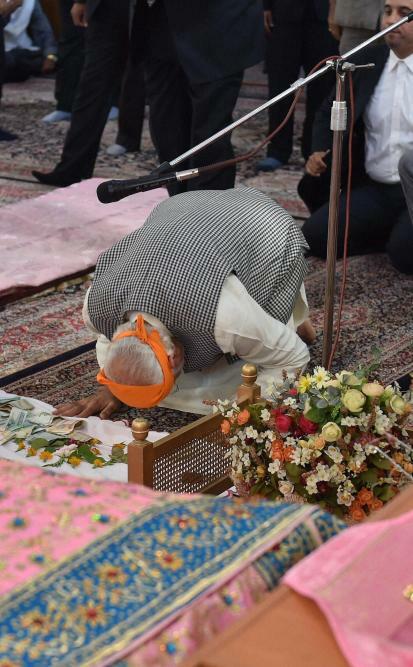 Prime Minister Narendra Modi pays obeisance at Bhai Ganga Singh Sabha Gurudwara in Tehran during his visit to Iran. 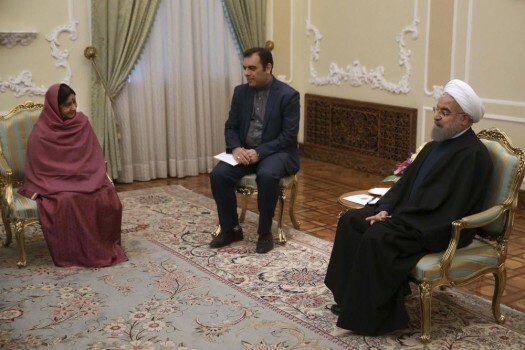 Iranian President Hassan Rouhani with Indian Foreign Minister Sushma Swaraj during their meeting in Tehran, Iran. 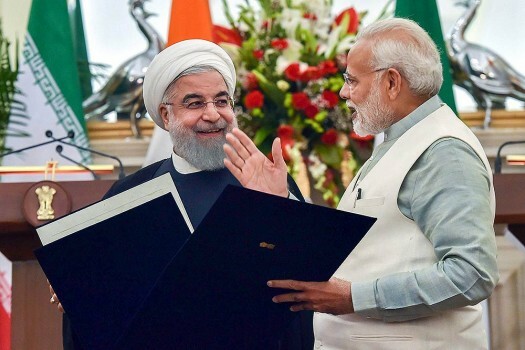 The sanctions cover Iran's banking and energy sectors and reinstate penalties for countries and companies in Europe, Asia and elsewhere that do not halt Iranian oil imports. 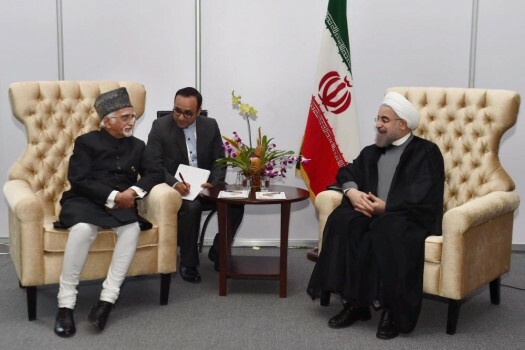 Minister for Petroleum and Natural Gas, Dharmendra Pradhan on Monday said that two state refiners have placed orders for importing crude oil from Iran in November. 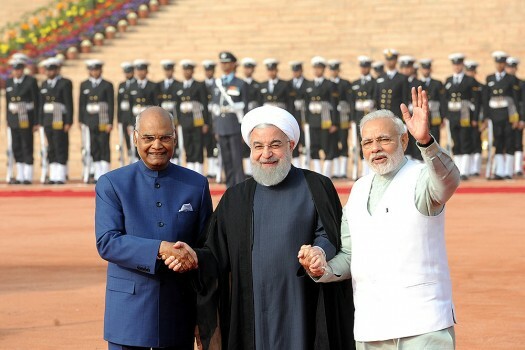 Earlier in the day, India and Iran signed nine Memorandums of Understanding (MoU)s following the delegation-level talks in the presence of PM Modi and Iranian President Rouhani. 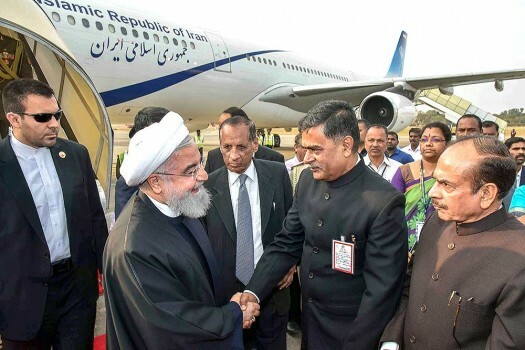 This will be the first visit to India by Rouhani after taking charge as the Iranian president in August 2013.